The new book James: An Honor-Shame Paraphrase is now available ($2.99 Kindle edition). Along with 1 Peter, Esther, and Psalms this is the fourth title in the Honor-Shame Paraphrase series. 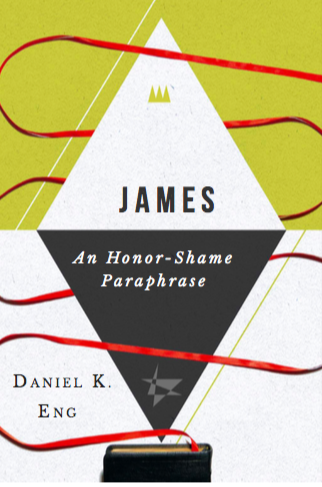 With fresh language and research insights, Dr. Daniel K. Eng unpacks the honor-shame themes of James. He deftly traces James’ main exhortation to remain loyal to God alone and the pastoral strategies for developing biblical community. With an introduction to the socio-cultural context of the epistle, this book clearly presents the original, cultural meaning of James. Learn more about the Honor-Shame Paraphrase series, or buy the book here. Click here to request a free PDF copy for classroom use or public review. The next post will feature the honor-shame paraphrase of James chapter 1. The author Daniel K. Eng is a PhD Candidate in Biblical Studies at the University of Cambridge. He is a graduate of Talbot School of Theology (ThM, Bible Exposition; DMin, Asian American Ministry) and has served as a pastor in churches in California, Texas, and the United Kingdom. He is the author of journal articles on honor-shame as well as the epistle of James. His thesis focuses on divine approval in James in view of the Septuagint, intertestamental literature, and the sayings of Jesus.